There is a line that comes nearly half way through Godzilla, where a reporter says, “This is not a movie.” It is a line that is simple in conception, but emblematic of the whole picture. Ishirō Honda’s Godzilla does not feel like a mere monster movie, but instead like an artefact found from another time and place. All the way through you feel as though you are viewing a real country deal with a problem, that while beyond the realm of logic and science feels tangible and horrifying in equal measures. Even when the picture goes intro the realm of cliché, such as the presence of a romantic entanglement, the showcase of destruction, despair and Godzilla himself feels so much bigger than that one element. More astonishingly, even when flaws are present in the effects and production design, the film still grabs you with its strange power of showcasing overwhelming bleakness. 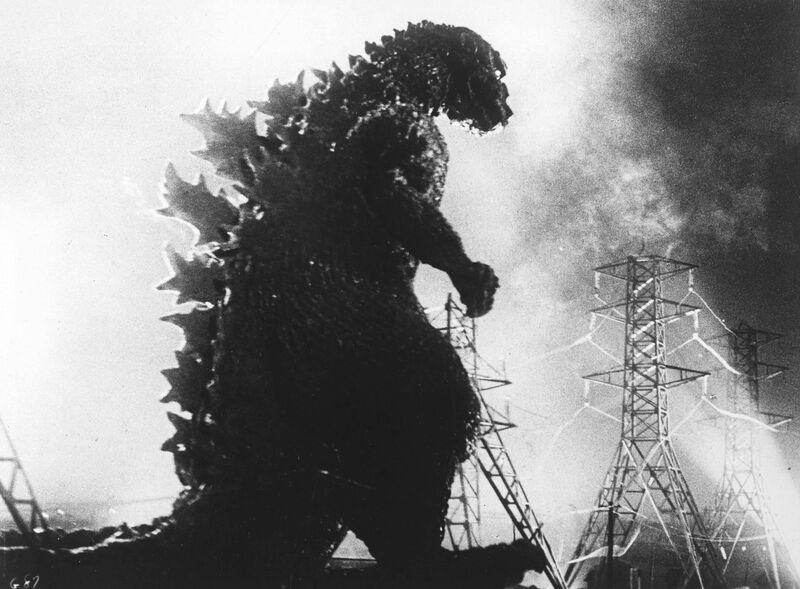 Much has been said about Godzilla being a metaphor for Nuclear warfare. Watching the film feels like you are seeing Japan dealing with the outfall of Hiroshima. In this regard, it feels quite intrusive, strangely cathartic and inspiring; speaking to the power of cinema as a medium in illustrating hope and struggle. With this knowledge, I am embarrassed to admit that I had watched the American reworking before this version that was renamed to “Godzilla: King of Monsters.” At the time of watching, I had praised it for its showcase of utter sadness, despite its cornball musings and narration. Compared to the Japanese version, it falls apart. The narration in “King of Monsters” lends an air of trying to understand the situation as well as moral judgement on the romantic situation, which calls attention to itself and takes away from the larger elements occurring. Finally, the picture is essential viewing because when you watch it, you will see the seeds of director Guillermo del Toro’s filmmaking approach. Genre pictures can transcend their perception and trappings and become genuine ways to communicate elements of the human condition, and Godzilla is one of the towering monster movies to demonstrate this quite emphatically.